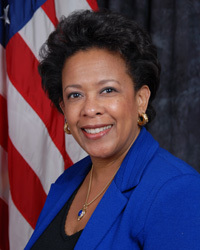 In an effort to make transition from jail to freedom easier for convicts, U.S. Attorney General Loretta Lynch is urging governors to provide parolees with state identification cards. The announcement is part of the nation’s first National Reentry Week, which began Sunday, the Christian Science Monitor reports. The move is part of a bigger push for justice reform intended to make it easier for convicts to land jobs and thus stay out of trouble. Posted: 4/26/16 at 9:18 AM under News Story.